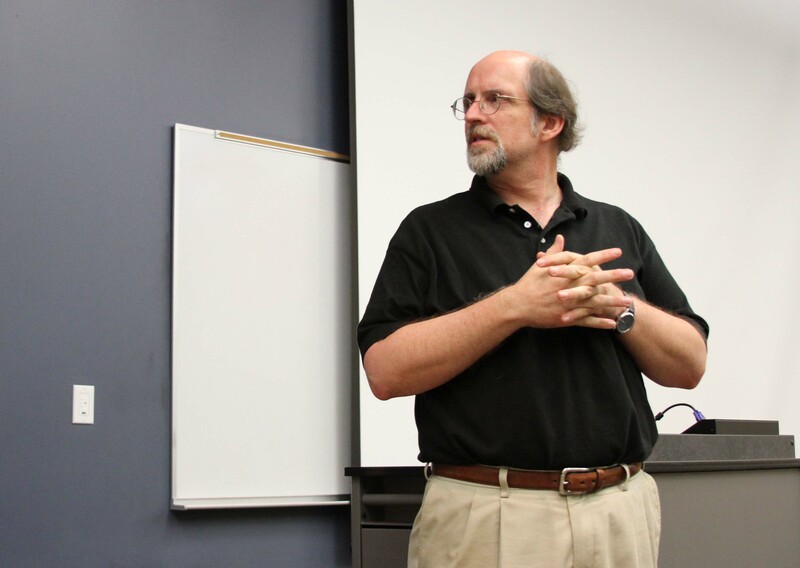 Dr. Steve Jones lectures in one of his history classes. Steve Jones, professor of history and social science at Southwestern, does more than just fascinate students with his wisdom of all things war and history. He is the new U.S. Foreign Policy writer for about.com. Before he received his PhD and became a professor of history, Jones received his bachelors in journalism and worked 15 years at a news magazine. When the US/Foreign Affairs category needed a new journalist, Jones jumped on the opportunity. He began the difficult process of applying to work for about.com. After sending in his resume, editors and owners of about.com ran a background check, made him prove that he could write, and that he could write on a deadline. Jones had to learn basic html, and still had to be approved by a committee of people. By mid-February of this year, Jones knew he would get the job. Then a few months later, in May, about.com sealed the deal. Jones is one of 900 employees, also called guides, at about.com. They basically handed him the US/Foreign Affairs category of the website, and let him run it by himself. As a writer and teacher, Jones shares this advice with students: “Some people freak out about writing. I don’t know why. Writing is not difficult at all if you immerse yourself in a topic. Internation Relations is a superb class. I took it from Dr. Jones and have nothing but high praise. Congratulations Dr. Jones for your success!